Zac Efron shot to hunky Hollywood fame with his wholesome role as Troy Bolton in the High School Musical franchise, and is currently starring alongside Dwayne "The Rock" Johnson in a soon-to-be-released movie remake of Baywatch. For an upcoming role, though, he's switching gears completely. 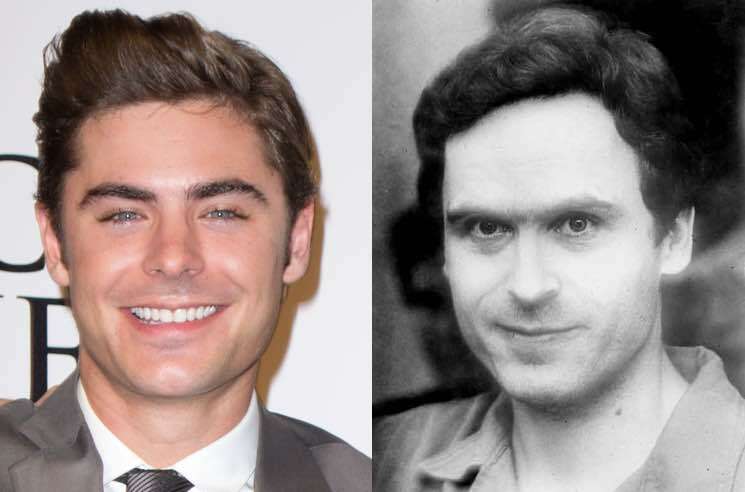 As The Hollywood Reporter reports, Efron has signed on to play notorious serial killer Ted Bundy in new biopic titled Extremely Wicked, Shockingly Evil and Vile. Director Joe Berlinger is helming the project, which is set to start filming in October. It will apparently focus on Bundy's relationship with his girlfriend, Elizabeth Kloepfer, who eventually turned Bundy in to police after denying accusations for years. Bundy ultimately confessed to murdering more than two dozen women and was sentenced to death by the electric chair in Florida in 1989.